Donate $5 and you will be thanked publicly with tweets, Facebook updates, and related social media. Just be sure to include your social media handle so we can showcase your generosity! Donate $10 and you'll receive a free Kindle or Nook e-file to for your e-reading device upon publication of Strong Like Butterfly. 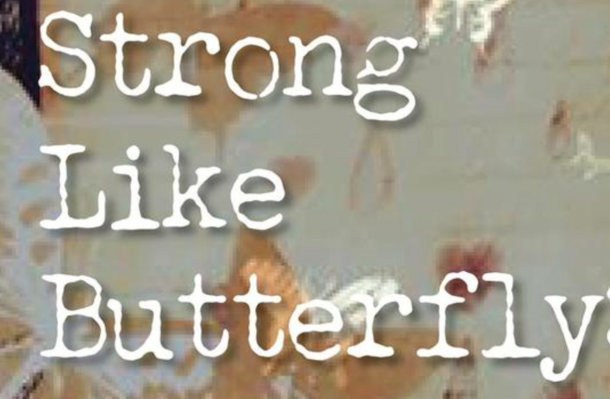 Donate $25 and you'll receive a Kindle or Nook e-file for reading on your personal device upon publication of Strong Like Butterfly, along with a postcard featuring the Strong Like Butterfly cover design (as pictured in the campaign materials). You'll also be thanked with tweets and Facebook updates! Donate $50 and you'll receive a paperback copy of Strong Like Butterfly upon publication of the book, along with a Kindle or Nook e-file for reading on your personal device upon publication of Strong Like Butterfly, and a postcard featuring the Strong Like Butterfly cover design (as pictured in the campaign materials). You'll also be thanked with tweets and Facebook updates! Donate $75 and you'll receive a signed paperback copy of Strong Like Butterfly upon publication of the book, along with Kindle or Nook e-file for reading on your personal device upon publication of Strong Like Butterfly, a postcard featuring the Strong Like Butterfly cover design (as pictured in the campaign materials). You'll also be thanked with tweets and Facebook updates! 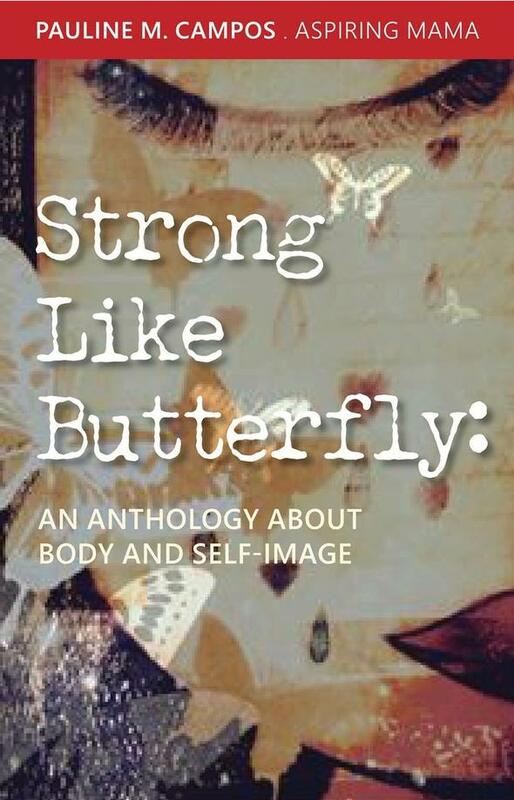 Donate $100 and have your name mentioned in the Strong like Butterfly anthology acknowledgments. You also will receive a signed copy of the paperback upon publication of the book, a Kindle or Nook e-file for reading on your personal device upon publication of Strong Like Butterfly, along with a postcard featuring the Strong Like Butterfly cover design (as pictured in the campaign materials). You'll also be thanked with tweets and Facebook updates! Strong like Butterfly: A Girl Body Pride anthology about Body Image and Self-Love, will be a Self-Published collection curated by BabyFat: Adventures in Motherhood, Muffin Tops, and Trying to Stay Sane author Pauline M. Campos. Strong Like Butterfly will feature the incredibly talented voices of a diverse group of women from all walks of life. Essays included in the collection will touch on a variety of topics including, but not limited to, body image, sexuality, mental health, and overcoming grief. Each and every story is a celebration of self and body, showcasing for the reader the many lessons learned by each writer in their own journeys to finding peace in self-acceptance. A successful Strong Like Butterfly Fund Dreamer campaign will meet or surpass the $10,000 goal, which would cover professional editing, layout, cover design, and promotions pre and post launch of the book, including (but not limited to) professional layout, design, copyediting, and travel to and for signings . A successful campaign will also create the opportunity to pay each writer for the privilege of publishing their work in Strong like Butterfly, as well as provide the necessary funding to revamp the Girl Body Pride website to better showcase the incredible stories shared by contributors. Pauline Campos is a Sometimes Radio Personality, a writer, speaker, commissioned artist, award-winning photographer, and founder of Girl Body Pride. She’s also Latina Magazine’s #dimelo advice & relationship columnist. She has been recognized as 2014 nominee for the Hispanicize #Tecla award for Best Parenting blog, a 2014 & 2015 Latism Top Bloguera and BlogHer ’15 Photo of the Year honoree. Her first book, BabyFat: Adventures in Motherhood, Muffin Tops, and Trying to Stay Sane, is available online with most major retailers. Find her at aspiringmama.com, on Facebook, twitter and instagram. Connect with Girl Body Pride on Facebook and twitter here.